A couple of weeks ago, I received this cutie-pie mug...personalized just for me...oh the love! 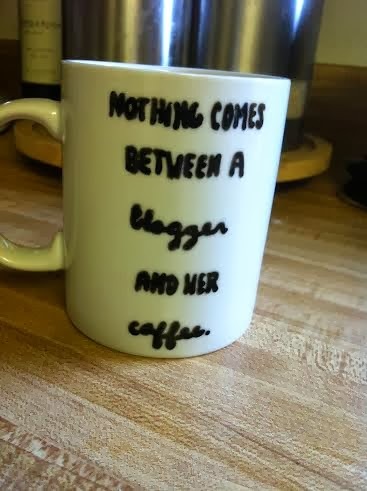 Nothing comes between a blogger and her coffee! I love my new mug...only one in the world like it! Meet the Lovey who made this for me! I'm sure she'll love making one for you as well. Talk to you all tomorrow! 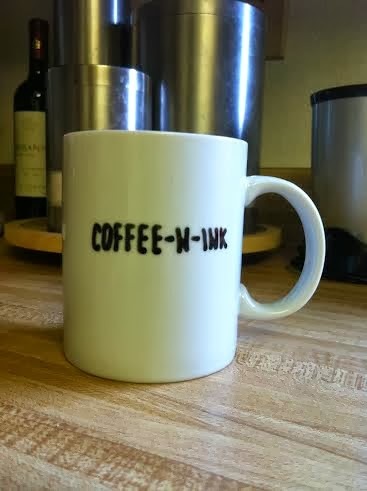 Hey Coffee-n-Ink readers!! 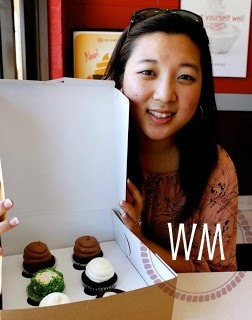 My name is Sarah and I blog over at Whimsical Minutes. Why Whimsical Minutes? Well, I believe everyday is filled with whimsy! You just gotta look for it! For example~ Right now while I write this post, I look up and see my husband holding our little one while she leans on her chubby little hands and sleeps. That is a whimsical minute for me. I currently reside in Dallas, TX as a wife to my husband, H, as a newlymom to one baby E, as a full-time graduate student, oh and an addict to all things coffee. On the topic of coffee... Nay has been so wonderful to let me hog her blog today and let you in on something really special to me. I’m the creator and owner of Wake Me Up Designs. WMUD was birthed out of my love and passion for coffee and coffee mugs. 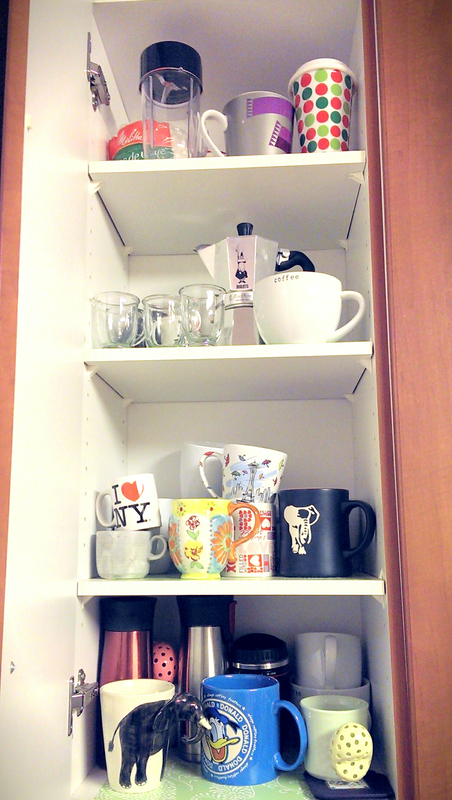 You won't believe how many mugs I have!! Wait, let me show you! Four shelves dedicated to my obsession. I'd say it's pretty serious. Anyway, with that love I wanted to bring it all together and create the perfect mug for others! I was discussing names with my husband and he actually came up with the name, Wake Me Up Designs. I fell in love with it. As of right now WMUD only sells coffee mugs, but I'm hoping to expand with other products that are coffee related. 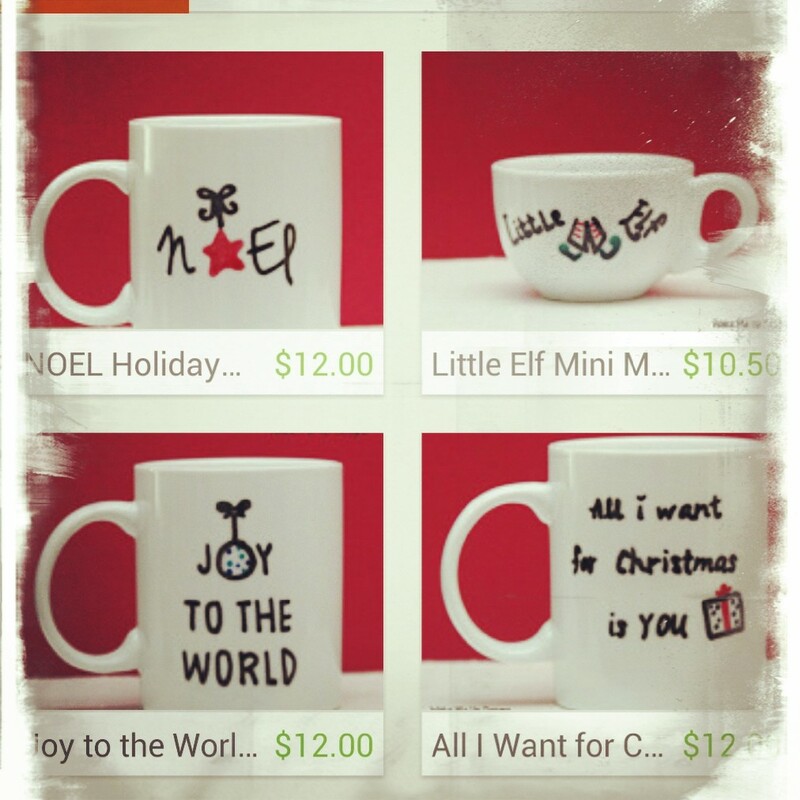 With the holidays just around the corner, WMUD has holiday mugs available! I also do custom orders so if you want something more personal I can definitely do that! Use coupon code: LOVEYS by December 15th and receive 15% off your purchase at WMUD! Me and Sarah are old friends. I sent her a mug in a mug swap last year. These mugs are adorable! I may have to order one!! These are sweet! I need to let my crazy mug-fanatic friends know about your business! Very cute designs, and I love the name! I didn't say that out loud, did I? An Imaginary Morning - just the two of us.